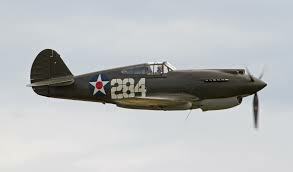 At 12:45 p.m., 2nd Lt. Hudson G. Dunks, took off from Trumbull Airport in Groton, Connecticut, in a Curtiss P-40C, (Ser. No. 41-13500) for a scheduled training flight. The weather at the time was clear and with unlimited visibility. His orders were to familiarize himself with the Groton area and to stay within ten miles of the air field, and to not go above 2,500 feet. Less than a half-hour later, while Lt. Dunks was flying over Mystic, Connecticut, (9 miles from Trumbull Field.) the left wing of his aircraft abruptly ripped free causing the plane to crash. Army investigators determined that the wing had separated due to “negative stress” attributed to “100 percent material failure” and found no fault with the pilot. Lt. Dunks was assigned to the 59th Pursuit Squadron (I) based at Farmingdale, Long Island, New York. He’d received his pilot’s rating on August 15, 1941.